I have never had a runway number verification on my checklists because normally the landing checklist is completed and stowed by the time I am on short final and can clearly see the numbers. However, after seeing that Harrison Ford just landed on a taxiway and I know commercial jets have done the same thing from time to time, I am considering a checklist item. One issue is not just the taxiways, a lot of larger airports and big airfields like Oshkosh have multiple parallel runways with right/left designations so it can get pretty confusing. The whole problem is that normally when I am on final and swooping in everything is happening fast and I do not have available bandwidth to be looking at a checklist, I have to be laser focused on making the landing and watching for traffic. Any suggestions how to verify the runway in a systematic way given the constraints? Pros: many pilots do this for takeoff, so it's a familiar check; works for any runway; convenient if you go around and are told to "fly runway heading"
Or use all three techniques together, of course. ATC could still change your landing clearance, or something else could force a change of plan, but stuff happens and you just have to deal with it. Personally I like the localizer/approach method at night and/or at an unfamiliar airport, otherwise I'll just write down the runway number on my kneeboard. The FAA issued a NOTAM https://notams.aim.faa.gov/lta/main/viewlta?lookupid=1396671390068774785 in December of 2016 that deals with this issue. Cancellation: 12/09/2018 1200 (UTC) Events in which an aircraft lands or departs on the wrong runway, a taxiway or lands at the wrong airport tend to be among the highest-profile and most dangerous events in aviation. These events have been occurring at an average rate of about 24 per year, increasing to over 60 in 2016. • Seattle-Tacoma International (SEA), where a B737 landed on a parallel taxiway between two parallel runways. • Boise Air Terminal/Gowen Field (BOI), where an A319 correctly read back the runway landing clearance but landed on the parallel runway. 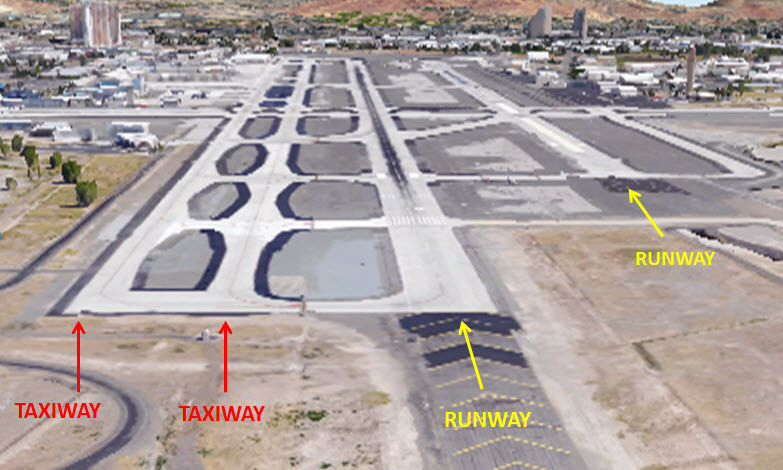 • McCarran International (LAS), where an A320 was cleared to land runway 19R but landed on runway 19L. • Sun lower on the horizon. • Snow/water/ice on airport surfaces combined with lower visibility due to storms/fog. • Parallel runways with offset thresholds and a parallel taxiway abeam runway. • Not comprehending/following the control instructions of Air Traffic Control (ATC). • Controller workload or radar limitations which preclude timely intervention by ATC. • Familiarize yourself with the airport to the maximum extent possible by reviewing pictures, maps and diagrams of the airport design. • Look for offset runway thresholds, parallel runways (especially if closely-spaced), etc. • Be familiar with the primary arrival runway. • Be cognizant of adjacent or nearby airports, particularly ones with similar runways. • Make sure all ATC instructions and clearances are clearly heard and understood. Make sure you give a proper read-back, if unsure, ask ATC to repeat the instructions or clearance again and don’t hesitate to ask questions about anything you feel requires clarification. • Confirm that you have correctly identified the destination airport before reporting the airport/runway in sight, especially at night or when weather or environmental conditions might make precise identification more difficult. Finally: Below are some depictions of what you may encounter during your flight. Remember to LOOK, LISTEN, and FOCUS -- the actions YOU take not only affect your safety, but also the safety of OTHERS. I don’t use checklists when taking off and landing, but I do use acronyms. Gear - Are you sure the gear are down? I have target MP or RPM for each leg that I don’t repeat each time, I just set them and adjust as necessary for wind. Same thing for flaps, I put the first notch down at the numbers or final approach fix and the the rest near the threshold. Not the answer you're looking for? Browse other questions tagged landing runways checklist or ask your own question. Why is the minimum runway length non-linear in relation to the landing weight? How are landing aircraft handled during an emergency runway closure? How to identify the FAP in runway during Landing?